He was barely 18-years-old when he committed his first crime that landed him in prison. His first entry in 1987 became a gateway to the life he least expected. Prison became a lasting home for him. But 31 years on, after serving sentences of 27 years, Josua Raitamata has realised his mistakes and believes he still has time to make amends to his life’s journey. At 49, he has readjusted his focus, re-set his priorities and is working towards becoming a better person committed to his vanua and becoming a responsible citizen for the nation. Raitamata was last released last year after a sentence of five-years-and-five months. Due to his changed behaviour, he only served a term of four years. With the constant counselling received within, he was determined to set his path right and promised himself that he was never returning to the controlled life behind bars. Previously, he was sentenced to eight years imprisonment for manslaughter, nine years for robbery with violence, four months for absconding before his last conviction of felony. 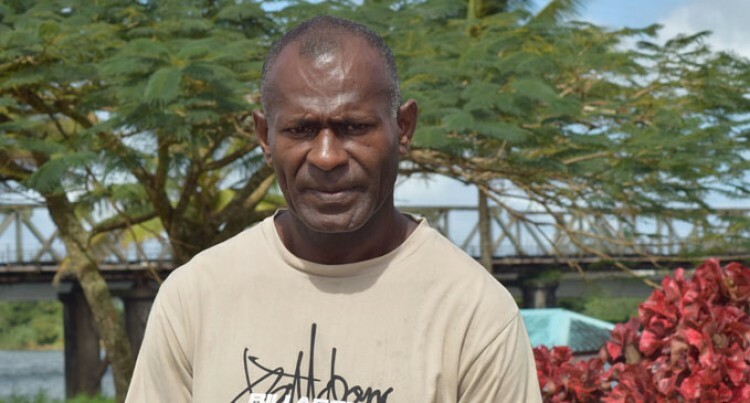 During his criminal days, he had distanced himself from his Navunimono Village in Verata, Tailevu and Nausori Town area became his temporary home, besides prison. Since his release last year, Raitamata returned to his village and took ownership of his role and responsibilities. “My family is the head of our clan in the village. My uncle is taking up that traditional role at the moment and I will be next in line,” Mr Raitamata said. He decided to utilise his time and his land and he farmed for the basic purpose of food security. He put on his hard work at it and his dalo and cassava plantations became the talk of the village. He was beating any other farmer and even supplying again to some households. His dream of venturing out into commercial farm was also birthed. “I’ve heard of the PAP (Poverty Alleviation Programme) funding while inside so I decided to give it ago. From the assistance I received from the Fiji Corrections Service, I planted crops that only take a short time to harvest. I was supplied with my farming equipment and vegetable seedlings and it only took me three months to harvest my cabbage, cucumber and other vegetables which I sold,” he said. Raitamata said he was fortunate to have met his partner – a woman he describes as understanding and hardworking. They became business partners as well running a small eatery at the old Nausori Bus Stand. “I supply the eatery with root crops and vegetables too and a certain amount generated from selling my vegetables was used to buy fish for the eatery. We sell cooked fish whether cooked in coconut milk or served with miti. “We are happy with what we earn everyday as we have our clients who eat here very often. “Before I used to be involved in a lot of planning or I was the mastermind behind some of the major crimes. “Even when I was inside, I was still playing a key role ensuring that the job is planned well and executed accordingly,” he said. Raitamata has plans to expand his business. He is setting his focus on extending his eatery to have a small grog shop to serve the taxi and mini bus drivers of Nausori well. He said he would continue to work hard to achieve his dream.